Did you know melatonin is as much a digestive hormone as it is a brain hormone? Everyone knows you can take melatonin to help you sleep, but it’s actually involved in much more than brain health. In addition to being an important digestive hormone, melatonin is involved in supporting the body’s defense system. It has anti-inflammatory properties, it can help lower blood pressure, stabilize blood sugar, and it’s been used medically for anti-fibrosis properties. And that’s not all. Savvy practioners have used it to treat tinnitus and fibromyalgia as well. It can help build bone. And it’s a powerful anti-aging molecule that helps prevent cancer too. That’s a lot of benefits for a non-toxic supplement that will cost you less 2 cents a dose! Levels of melatonin and the alertness hormone serotonin cycle back and forth, with dark of night and light of day. Serotonin, the hormone which promotes vigilance and awareness of the environment, is secreted in response to the sun as perceived by the pineal gland, while the production of it’s hormonal partner melatonin, predominates at night. 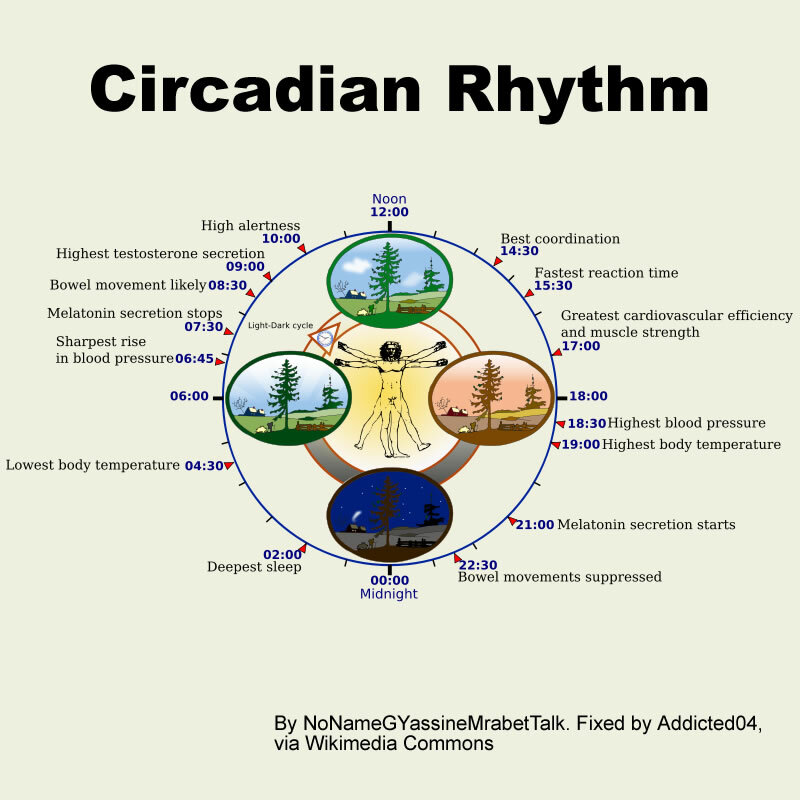 This back and forth dance of hormones with day-night cycles is part of what biologists call a circadian (daily) rhythm. The book “Lights Out” makes the important point that the prevalence of 21st century 24/7 lighting has had a disastrous effect on the melatonin-serotonin manufacturing rhythms which depend on day-night circadian cycle. According to the author T.S Wiley, because of its relationship to eating behavior, one of the effects of the excessive amount of light induced serotonin production is food craving, especially for carbohydrates. How much of a contribution this modern day circadian chaos contributes to the obesity epidemic is hard to say, but at least according to Wiley it’s not insubstantial. If you want to make sure you’re getting enough melatonin, it’s probably a good idea to take some supplementally at bedtime, 5-7 nights a week. It’ll help you fall and stay asleep and it’ll give you some pretty intense dreams too. Take at least 3mg doses and you could probably take 5 or 6mg. Melatonin is cleared out of the body quickly and it’s pretty much benign stuff. I like the sublingual kind that dissolves under tongue. They get right into the blood through microscopic sublingual capillaries and go to work really fast. I feel drowsy within minutes. There’s also melatonin found in foods. Rice corn mustard seed peanuts and walnuts all contain substantial amounts of melatonin. Tart cherries have especially high concentrations of melatonin. 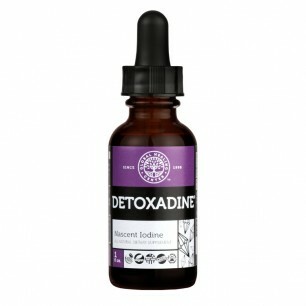 Just a couple or three can get you nearly 1.5mg of the important, multi-beneficial hormone. With 100 million plus diabetics and prediabetics in the U.S., and with all the health issues associated with poor blood sugar control, any fresh information about helpful supplements is always welcome news. That’s why the recent study published by the American Society of Nephrology, which focused on a relatively unknown vitamin, benfotiamine, demonstrating its kidney protecting effects against sugar, is so exciting. Technically referred to as “glycation”, the damaging effect of glucose on the delicate renal circulatory system has long been regarded as one of the more significant health challenges faced by diabetics. According to the researchers from the nephrology department at the University of Heidelberg (Germany) who published the data, the B-vitamin benfotiamine may be a new weapon against glycation of the kidney and other tissues faced by so many unfortunate Americans. Actually, it’s not so much a new weapon as it’s a recent twist on an old one. Benfotiamine is a fat-soluble version of vitamin B-1, the old standby nutrient for improving blood sugar health that is better known as thiamin. This slight biochemical modification allows benfotiamine to pass into the bloodstream through the digestive tract with much greater facility. A study published in the International Journal of Clinical Pharmacology in 1996 found that supplementation with benfotiamine resulted in blood levels 5 times higher than thiamine. Fat-solubility also allows benfotiamine to penetrate into cells more effectively. This may give it greater protective and restorative activities than its water-soluble cousin. Benfotiamine is a component of the allithiamines, a naturally occurring class of vitamins found in the allicin group of vegetables which includes garlic, shallots, onions and leeks. First synthesized by Japanese scientists in 1962, benfotiamine is the considered the most potent of the allithiamines complex. After some initial excitement, when it was discovered that lab mice were able to tolerate over 20 times the amount of benfotiamine than regular vitamin B-1, enthusiasm for this intriguing nutrient faded. It wasn’t until 2003, when Dr. Michael Brownlee of the Albert Einstein College of Medicine published data that showed that benfotiamine blocked several destructive diabetic biochemical pathways that interest was reignited. Since then, attention to benfotiamine has increased dramatically and it’s now possible to obtain in supplemental form from numerous sources. What’s even more interesting about thiamine’s fat soluble analogue, is that it’s not just diabetics who may benefit. Based on information gleaned from numerous studies and articles, benfotiamine may be helpful for improving numerous health conditions including sciatica, neuropathy, hypertension, accelerated aging, fibromyalgia, and Alzheimer’s disease. Benfotiamine is readily available in health food stores and via the internet and though there is no consensus on what’s the perfect daily dose, it’s recognized as safe and non-toxic. I would start off with a dose of 300mg a day and increase as needed until adequate benefits (e.g. 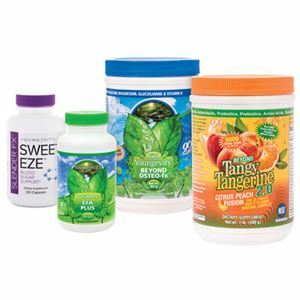 blood sugar control, pain relief, improved cognition and memory) are achieved. As always, to achieve maximum B-vitamin benefit, when supplementing with one of the B’s, it’s important to include the entire complex in your nutritional supplement protocol. Each pack provides broad spectrum foundation nutrition and includes BTT 2.0 Citrus Peach Fusion – 480g canister (1), EFA PLUS™- 90 soft gels (1), Beyond Osteo-fx™ powder – 357g Canister (1) and Slender FX™ Sweet Eze™ (1). One of the most important mental health references in my library is called “Insulin Treatment in Psychiatry”. It was published in the 1950’s and it provides ample evidence of how critical changes in blood sugar chemistry are for mental and emotional well-being. 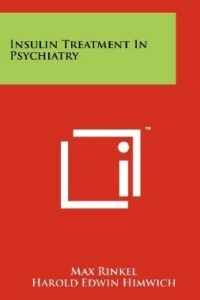 There are chapters with titles like “Biochemical Changes in the Brain Occurring During Insulin Hypoglycemia” , “Insulin Therapy in Schizophrenia” and “Trends in Insulin Treatment in Psychiatry” that provide proof positive that manipulations of blood sugar can play a crucial, non-pharmacological role in improving mental health. 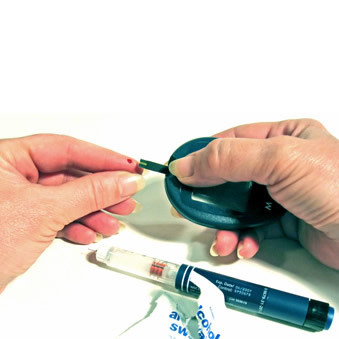 Insulin is an anabolic (growth) hormone with many properties, the most striking of which is its ability to encourage fat cells to absorb sugar (glucose) and store it as fat. But what was recognized by old-time medical researchers, many decades ago, was the fact that this same hormone, as well-known as it was for its role in blood sugar control, was also a potential tool for psychiatrists treating various mental disorders. Why is this so important? Well, the average American is ingesting over 140 pounds a year of sugar and another 60 pounds or so a year of high fructose corn syrup. In 1960 the amount Americans consumed was less than 100 pounds a year of sugar and zero pounds of high fructose corn syrup. 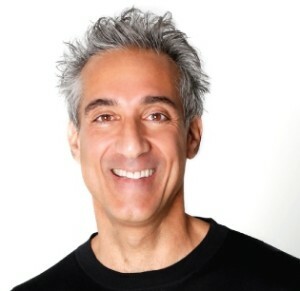 If it is indeed true that there is an insulin connection to mental illness, considering the seeming epidemic in mental disorders 21st century Americans are confronting, one is forced to question how much is related to insulin and associated issues with blood sugar. This question becomes especially significant in the case of children who are the most obvious and notorious consumers of the sweet stuff. According to the U.S. Department of Health and Human Services at any given time one out of five American children are suffering from some kind of mental illness. That’s anywhere from 7.7 to 12.8 million kids! 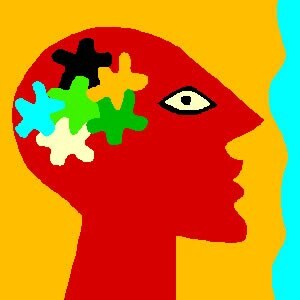 30 to 40 percent have ADHD, 10% suffer from an anxiety disorder, and at any given time, 1 out of thirty three will be clinically depressed and 3 out of 1000 will be diagnosed as schizophrenic. The statistics for adults are no less alarming. According to the National Institute of Mental Health, nearly one in four Americans over the age of 18 suffers from a diagnosable mental disorder. If you go to a physician or psychiatrist and leave with diagnosis of depression, anxiety, ADD/ADHD or some other mental health issue, it’s unlikely anyone will be questioning your diet or suggesting nutritional supplements. In fact, the odds are pretty good that you’re going to get a prescription (or two or three) for a psychotropic drug. In a one year survey period from 2006 to 2007 there were 472 million mental health prescriptions written. That’s almost 10 percent of the total annual number of prescriptions written in the U.S.. There are over 170 prescription drugs used for mental health and there are more on the way. According to the Pharmaceutical Manufacturers Association, there are 313 new drugs in research and development that are designed specifically to treat a variety of mental health concerns. If you are suffering from some kind of mental illness, or you or your children are on a prescription drug that you want to get off of, or if you are being pressured by a well-meaning physician or loved one to start taking a prescription drug, please understand that you have options. And one of the most important ones involves (surprise, surprise) blood sugar and insulin. Contributing Authors Include Hans Hoff, Joseph Wortis, Ivan Bennett, And Many Others. Proceedings Of The International Conference On The Insulin Treatment In Psychiatry Held At The New York Academy Of Medicine, October 24-25, 1958. Laying off the sugar and refined carbohydrates is the obvious first step. But “just say no” doesn’t usually work. Will-power is relatively useless when it comes to resisting sugar. The best way to wean yourself blood sugar and insulin spiking foods is to increase intake protein and essential fatty acids. It’s probably a good idea to start off all meals with a protein powder drink and 3 to 9 Omega6/Omega 3 capsules or a couple of teaspoonful of a good EFA liquid like Udo’s Choice. Then make sure you’re getting all the nutrients that help the body process sugar. The B-vitamins in liquid form are very important. Vitamins B1 and B3 have specific sugar-metabolizing properties. (Interestingly, Dr. Abram Hoffer used to use these two nutrients as medications in his protocol for treating schizophrenia and other psychiatric disorders.). Taking 50mg a day of Zinc picolinate and 2000 mg of chelated Magnesium would probably be wise. And, the minerals Chromium and Vanadium are well known for improving insulin response and blood sugar levels. There are many more supplements available for stabilizing blood sugar, and ultimately improving and helping maintain mental health. We’ll be getting to those in future posts.